Alex Calleja is the Kapamilya scriptwriter who finished first runner-up in the ‘Funniest Person in the World’ contest abroad. 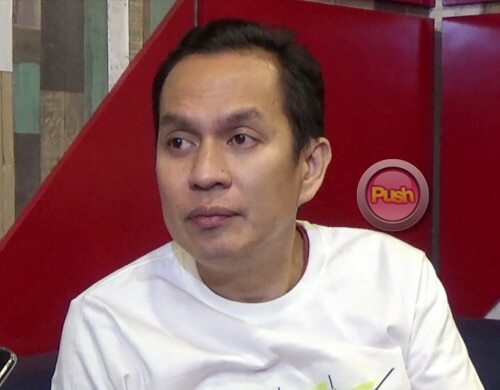 After finishing first runner-up in Laugh Factory’s “Funniest Person in the World” contest that concluded in Finland last December, stand-up comedian and Kapamilya show writer Alex Calleja will have his own show on the ABS-CBN TV Plus channel Cinemo. It will be called Lakas Tawa. “Nakaka-pressure kasi unang una, ako rin writer ‘dun. Ang cute nga ng show namin. Parang maliit na family na kami-kami lang. Nakakapressure na masaya kasi finally… Kasi ‘pag nagsusulat ka sa sitcom, sulat mo pero iba ‘yung nadedeliver. Iba ‘yung lumalabas na comedy. Maraming filter. Ito straight talaga from my mouth to the camera so wala masyadong dinaan,” he said. Earlier, Alex shared that he dreams of getting more of stand-up comedy shows in the mainstream media. He said that he plans that, “’Yung stand-up namin to be able to be seen sa TV kasi ang mainstream is the Vice Ganda style of comedy. Another form of comedy naman sila Vice. Kami rin gusto ko lang magkaroon ng konting venue for us to be able to showcase our type of comedy which is nagstart na nga,” referring to his projects, It’s Showtime’s Funny Juan segment and Funny Ka, Pare Ko in Cinemo. “We’re trying to slowly but surely try to penetrate the comedy scene sa television and now nga, ito ngang Lakas Tawa na palabas sa Cinemo. Magagandahan ka sa Lakas Tawa kasi stand-up talaga ito. Ang ginagawa ko is five-minuter, three times a day: 10:55 (AM), 4:55 (PM) and 10:55 sa evening. Topic lang tapos meron akong ‘yung lesson sa dulo.” He said that he will tailor-fit the jokes for television. When asked if he plans to eventually move the show to channel 2, Alex reiterated his hope that stand-up comedy will be given opportunities to be seen on the small screen. Meanwhile, Alex will also have a book with the same title Lakas Tawa under ABS-CBN Publishing. To be released this month of May, he said that it will be a compilation of his jokes and more. Currently It’s Showtime and Goin’ Bulilit’s head writer, Alex, who started in Usapang Lalaki on the former TV channel Studio 23, also wrote for Umagang Kay Ganda, and the defunct sitcom Toda Max. Airing from Mondays to Saturdays, Lakas Tawa will start on Monday, May 15 on Cinemo.